Kendrick Lamar: An Unflinching Ear For Realism In "Ab-Souls Outro," rapper Kendrick Lamar attempts to look past the pursuit of stardom. In "Ab-Souls Outro," rapper Kendrick Lamar attempts to look past the pursuit of stardom. Every day between now and March 16, Song of the Day will showcase a track by an artist playing the South by Southwest music festival. For NPR Music's full coverage of SXSW — complete with full-length concerts, studio sessions, blogs, Twitter feeds, video and more — visit npr.org/sxsw. And don't miss our continuous 100-song playlist, The Austin 100, which features much more of the best music the festival has to offer. Language Advisory: This song contains lyrics that some listeners may find offensive. 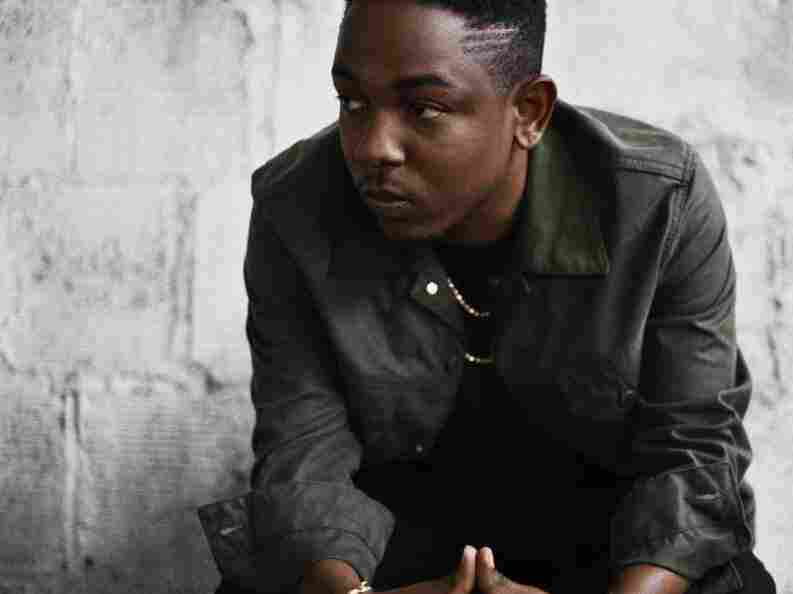 Compton rapper Kendrick Lamar sounds decades older than he is, and it's not necessarily the wear and tear that comes from a rough life; instead, his world-weariness seems to result from years of soul-searching. He treats his self-analysis like a lonesome journey, and along the way asks why others his age haven't taken the same trip. Section.80 explores issues of substance abuse, vanity, racism, gender relations, adultery and more with an unflinching ear for realism. "Ab-Souls Outro" serves as a jazzy, spoken summation of Section.80's themes. Guest cohort Ab-Soul opens the song with one urgent verse after another: Flowing freely like the saxophone behind him, his words advocate veering outside life's most predictable pathways. Then, Lamar rushes onto the mic and openly rejects the ideas of pop stardom — or even status as a socially aware rapper. For all his confidence, Lamar still understands that the journey he took was a personal one: His answers to life's questions apply to him and him only, and they can't just be handed out like candy.